Part 2 of a 5-part series that looks at how different elements can be included within your ceremony, to enable children, family and friends to participate together, with you both on your special day. As a Wedding celebrant, I often get asked by the bride and groom how they can include their children and their families in their ceremony. This is particularly important when the couple have children, and are joining families. For a wedding ceremony doesn’t just unite two people together, it is also a celebration of family. The Unity Sand Ceremony and the additional vows that accompany it are often the most important and meaningful part of a wedding. 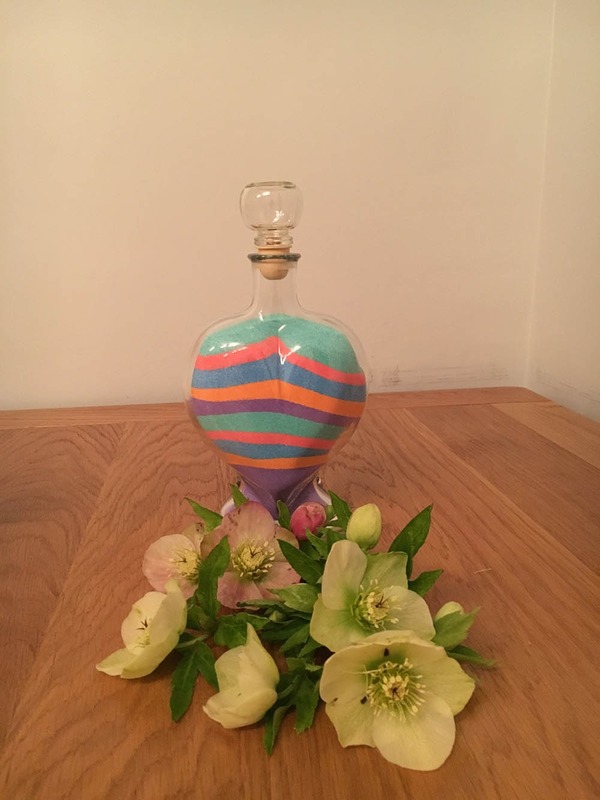 There are an endless array of colours, vases and containers to choose from, this enables you to create something as unique and individual as you are. 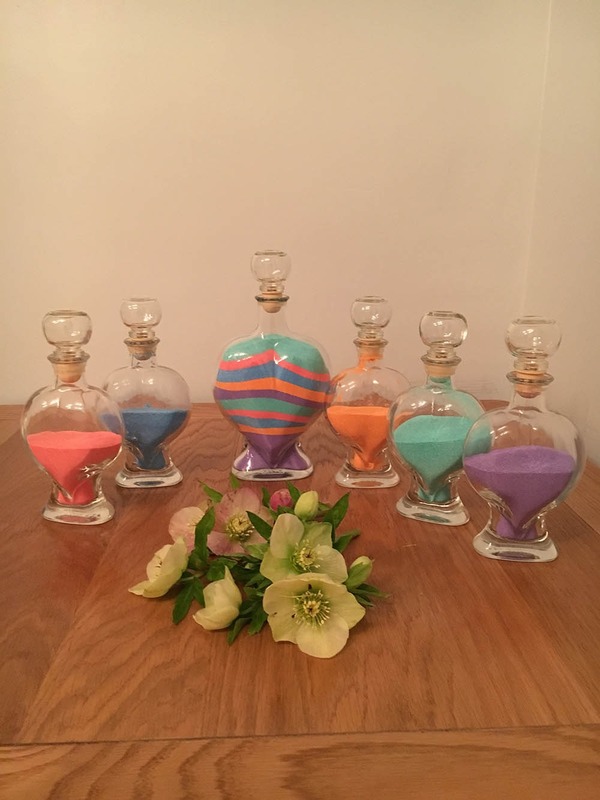 The ceremony involves filling the beautiful vessels with coloured sand and combining them into one during the service, creating something tangible that will stay with you throughout your marriage. Children who are becoming part of the new family, can choose their favourite colour of sand, or the colour that they feel represents their character or personality. I will invite those members of the family taking part to come and join us at the front. 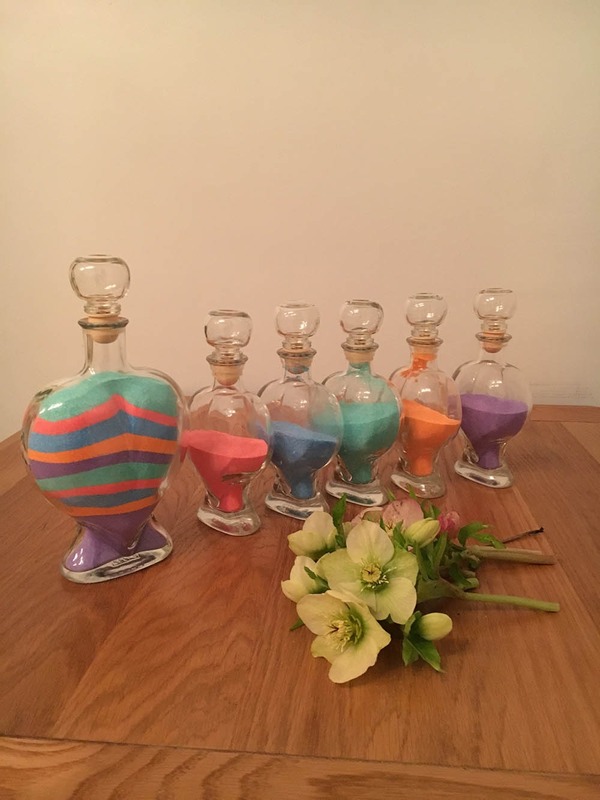 Each person will pick up their container of coloured sand, which symbolises their separate lives, before today. There are many beautiful words that can be said, at this point, which are personal and unique to your ceremony. Emma and Harry wanted their three children included. You and your children may want to include your own poems, readings or promises or to say a few simple words. When you combine your sand together, your lives will join together as one family. Emma and Harry please come and pour some of your sand into the base of the jar, because your unity together is the foundation of your family. Evie and Poppy and Daisy, please come and join in by pouring your sand together. Each of you has chosen a special colour that represents your unique beauty, strength and character. The blending of your sand represents the blending of your family. The individual jars of the remaining sand can be carefully placed into boxes after the ceremony, with a little message to its owner. They make wonderful keepsakes for those who have taken part. The large vessel makes a great ornament for the coffee table or mantelpiece and is a beautiful reminder of your special day.